This is What Little Girls Dreams are Made of -Barbies Dream House with Elevator! The dream house itself is about 4 foot tall, which makes it perfect for most little girls to be able to see all three floors. 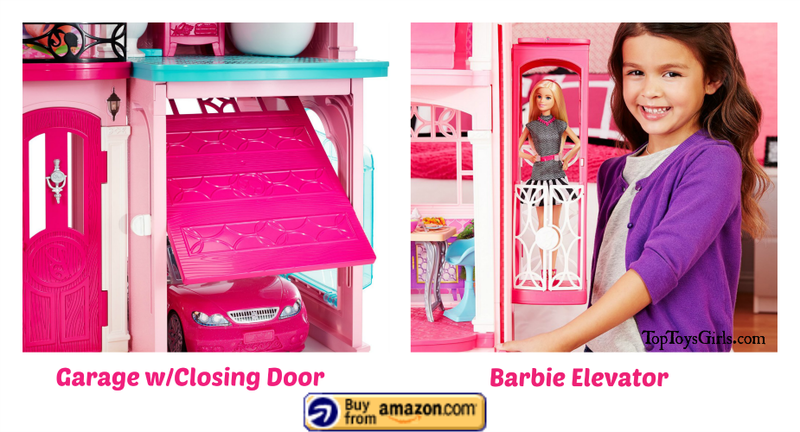 The Barbie Playhouse Elevator is easy to install because it runs on a rail you attach to the side of the house. Snap in the rail, snap in the elevator and you are ready to give Barbie a ride. Be careful of the latch, it is delicate. There is a bedroom with a sitting room off of it, living room, bathroom, dining room, kitchen, a pet room, and the garage with a closing door. There is also a pool that comes off the garage (it’s actually the garage window when you snap it back in place. Genius use of space). 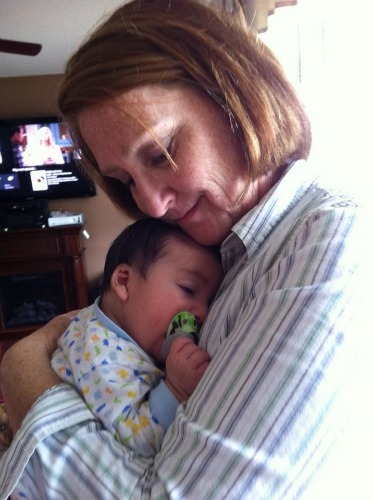 All in more than 5000 square inches. Assembly takes about an hour and easy to do. There are great instructions with lots of pictures to follow, including where to put the decals on your new Barbie Dream House and elevator . 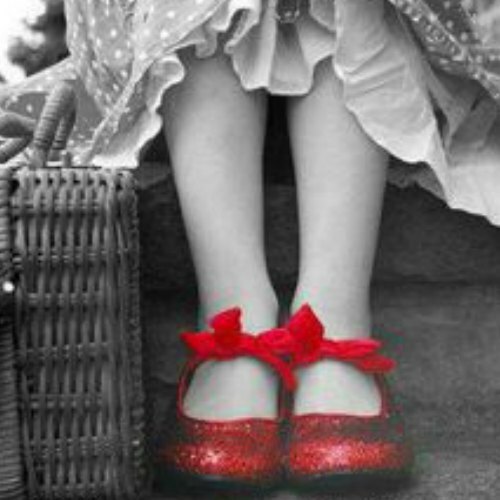 These accessories come with the Dream House, you don’t purchase them separately. Several pieces make real sounds. The vanity moves from room to room to activate different pieces of furniture or appliances to make real sounds and motions. The bathroom vanity makes the noise of bubbles and someone brushing their teeth. The toilet makes realistic flushing sounds in the bathroom. There is a table fan where the blades move and make a white noise and a fish tank that spins around so you can see the fish. Off her bedroom is a sitting room with a TV that a smart phone fits inside (the smaller smart phones fit). 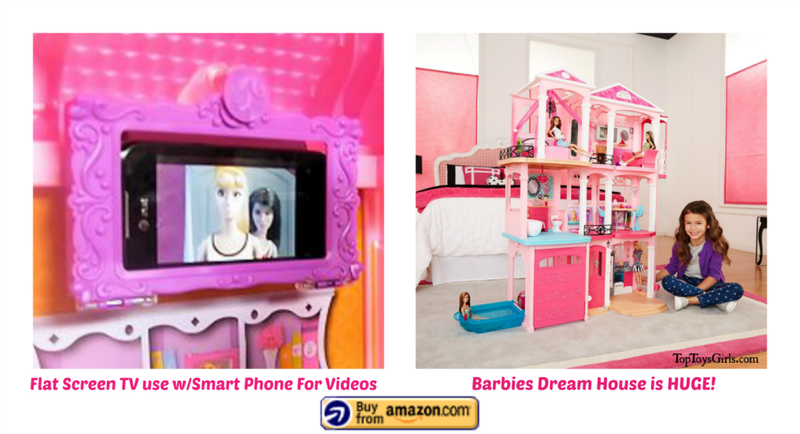 Just flip open the “flat screen” in the living room to insert your own smartphone and play videos for Barbie and her friends to watch. Barbie has a black chandelier hanging above her bed, which is really trendy. There are pink canopy curtains that drape around her bed. Her closet has room for all her clothes, purses, and shoes. The garage opens and closes and is ready for the Barbie Glam Car to be parked in there. It has a bright shiny pink garage door. That is Barbies signature color in this beautiful Barbies Dream House come true! 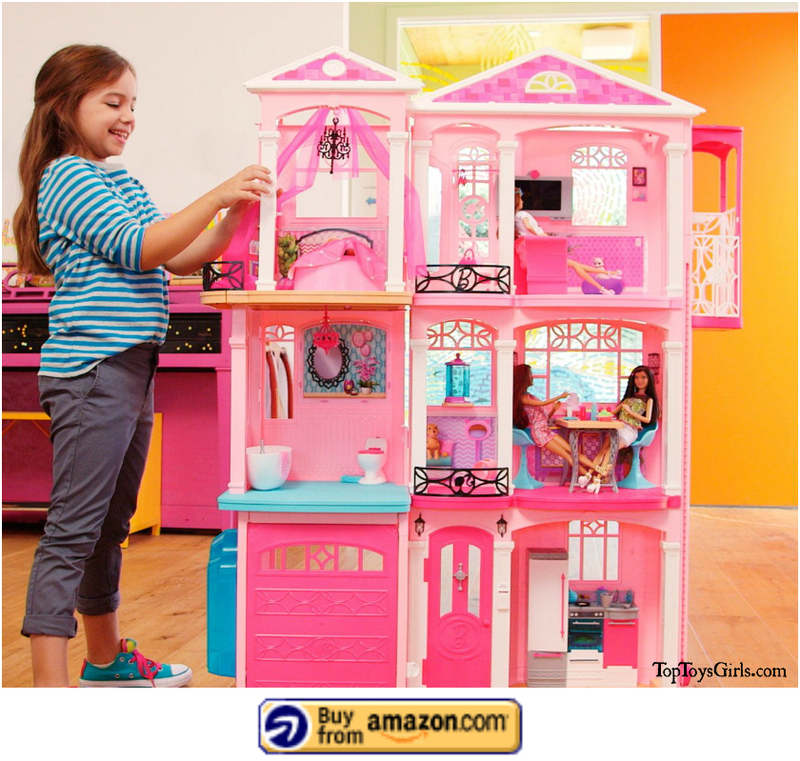 Take a look at the Barbie Dream House w/Elevator in action. Be sure to notice the TV. 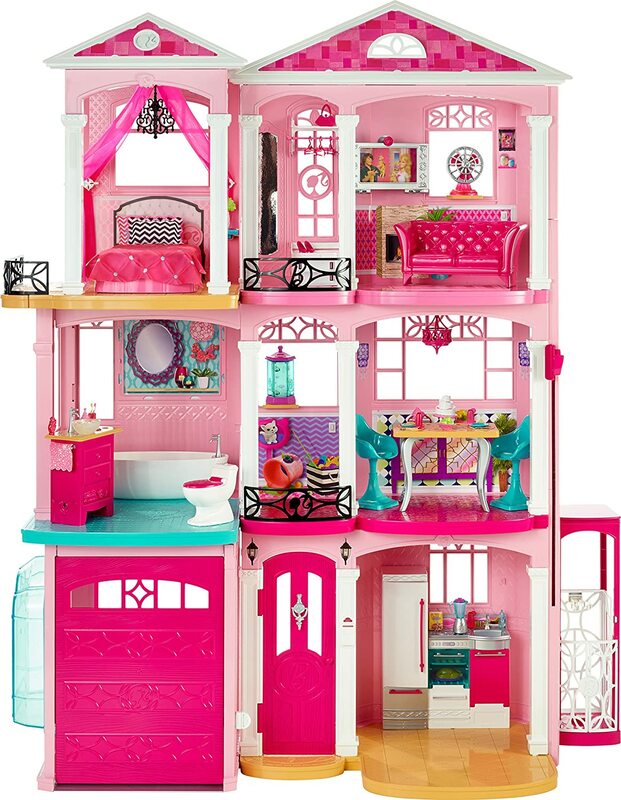 If your daughter is as crazy about Barbie as my daughters were, you may want to add some extra accessories to make this a complete Barbie Dream House. Maybe the Barbie Glam Convertible car to put in the garage or you might want to grab some clothes for Barbie to hang on the hangers that come with the house. Your little girl will want her looking glamours when her play dates come to play Barbies.